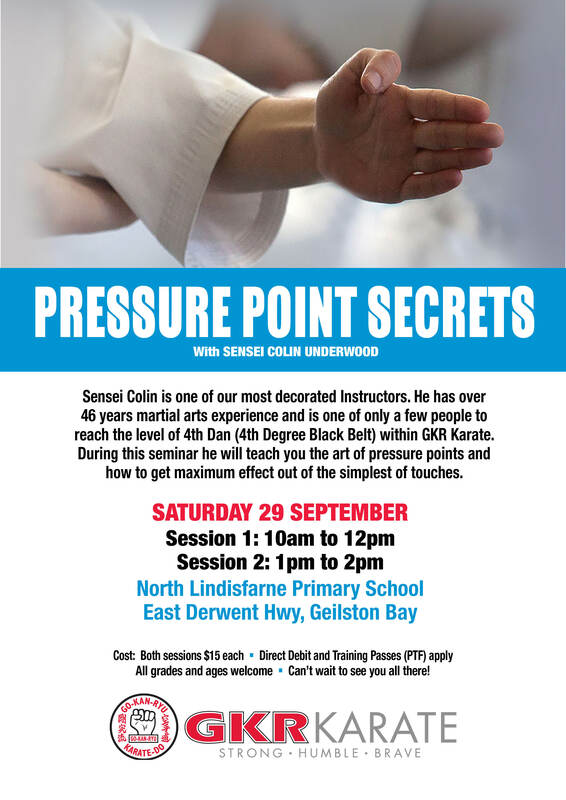 Sensei Colin Underwood is one of our most decorated Instructors. He has over 46 years martial arts experience and is one of only a few people to reach the level of 4th Dan (4th Degree Black Belt) within GKR Karate. During this seminar he will teach you the art of pressure points and how to get maximum effect out of the simplest of touches.